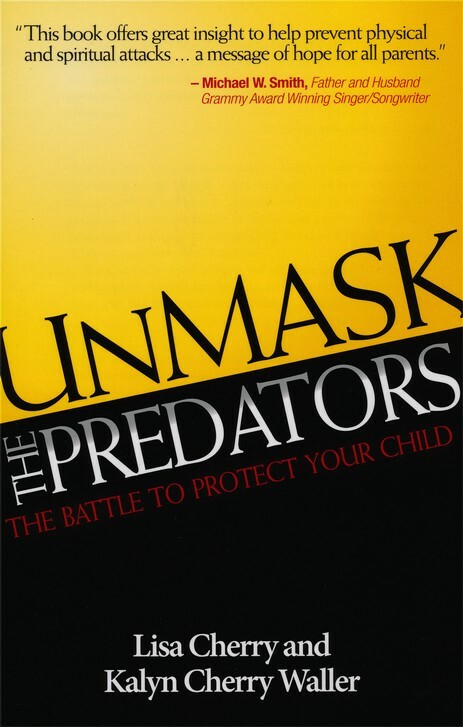 Unmask the Predators: the Battle to Protect Your Child by Lisa Cherry and Kalyn Cherry Waller is a book every parent should read. The authors present a plan to help other parents either prevent or help heal the abuse of their children and teens. The information presented is crucial to help parents understand how easily predators can corrupt the hearts, minds, and emotions of children and teens, even when no physical contact occurs. With the prevalence of Internet and smart phone communications today, the danger for abuse has increased exponentially. The book also offers insights into teen culture and presents relevant statistics that will help parents better understand the world their children live in. 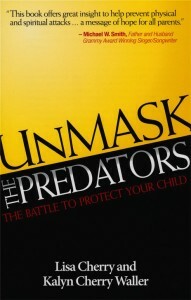 Unmask the Predatorstells the story of how a 64-year-old man in their church stole the heart of the Cherrys’ fifteen-year-old daughter (Kalyn), fooling everyone with his kindness and helpfulness around the church and their home. The effects of his abuse on both Kalyn and her family are nothing less than horrifying, and the healing process, especially for Kalyn, took several years. During their trial by fire, Lisa and her pastor husband learned greater dependence on God. They also developed a greater passion for truth, rejecting the false beliefs of our culture that the enemy of our souls would have us embrace. Prayer became more important than ever, and the powerful Word of God became their defensive weapon as they tried to win back their daughter’s heart. As they sought God’s direction through prayer and Scripture, they embraced a new level of obedience in the areas of parental authority and wifely submission. Although most of the book is solidly scriptural, the authors do advocate speaking directly to the devil, which I believe is unscriptural. As I wrote in my last book review: “Even the archangel Michael did not dare to come against the devil when he was sent to retrieve the body of Moses, but said, ‘The Lord rebuke you. '” It is not our place to rebuke the devil directly. But we can and should ask God to come against him in the powerful name of Jesus. In addition to quoting from accurate Bible translations, the authors also quote from versions that water down God’s Word through paraphrase. An accurate translation of God’s Word has power that paraphrases don’t. With these caveats, I highly recommend this book.